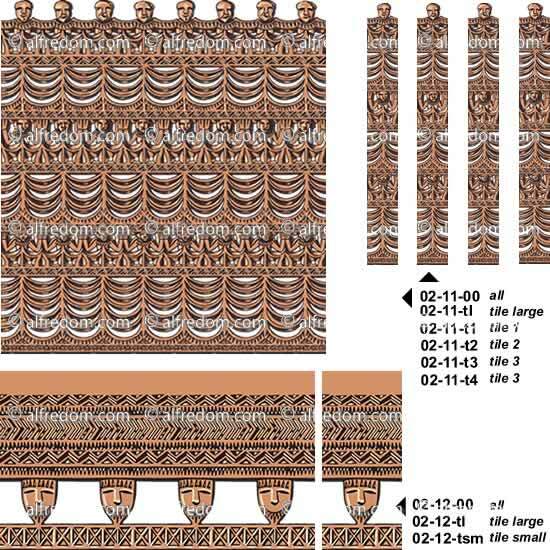 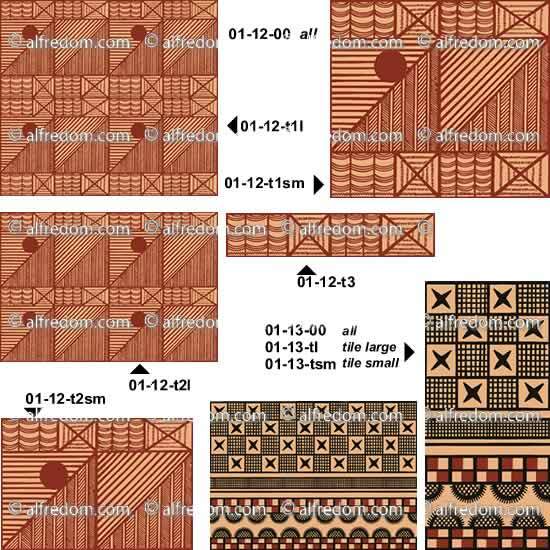 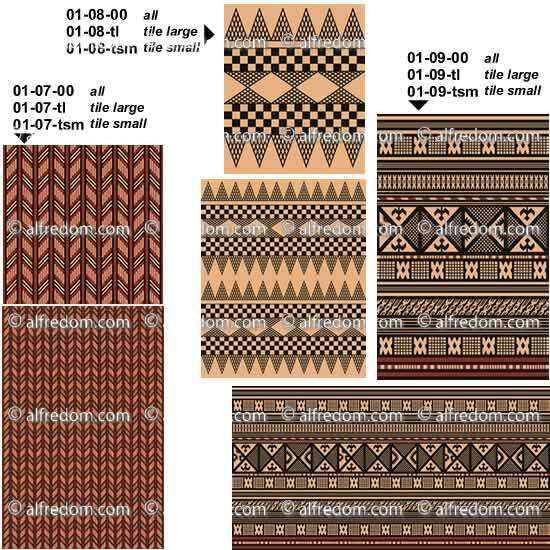 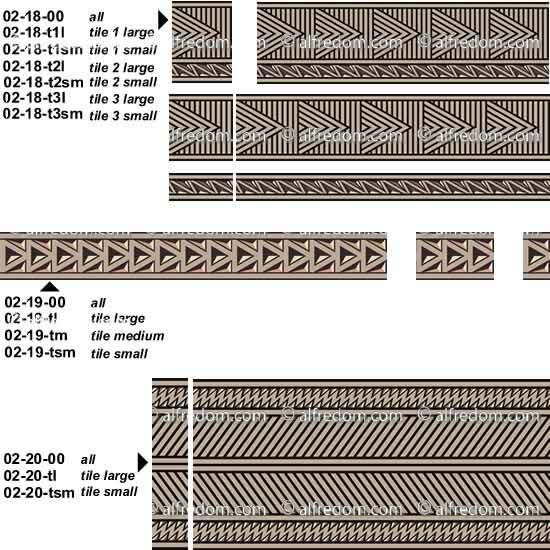 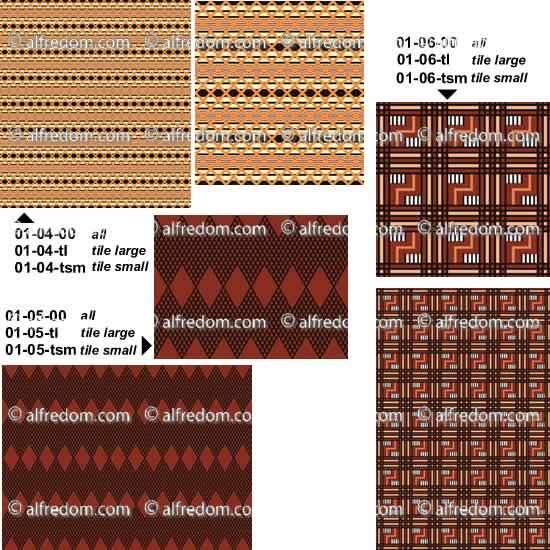 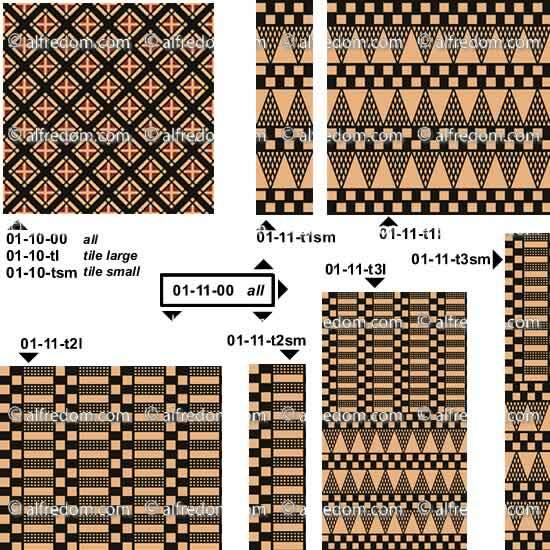 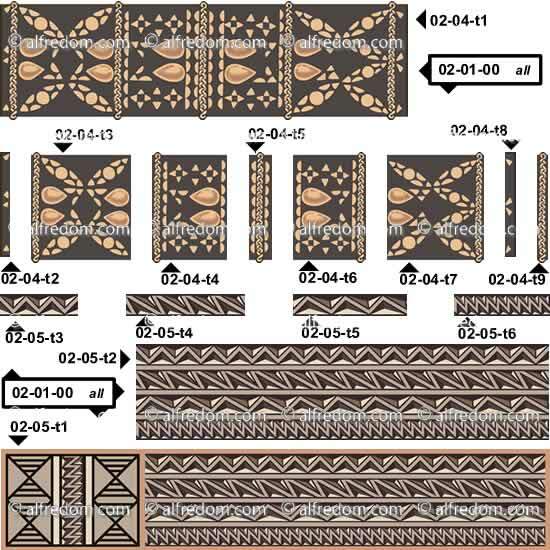 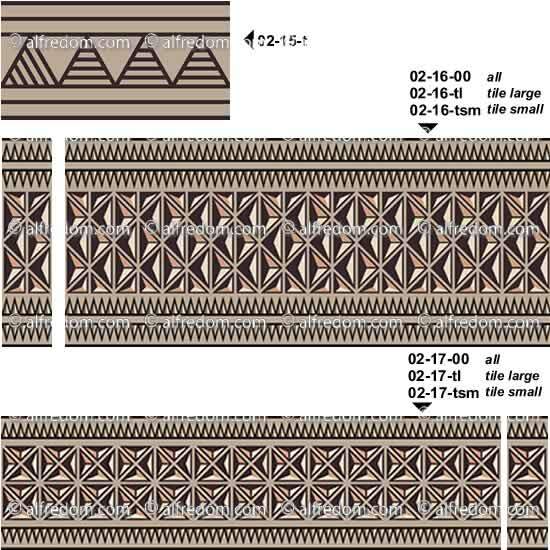 A beautiful collection of unique decorative patterns from textiles and other items from the Pacific Islands, hand drawn in vector format and saved in EPS format. 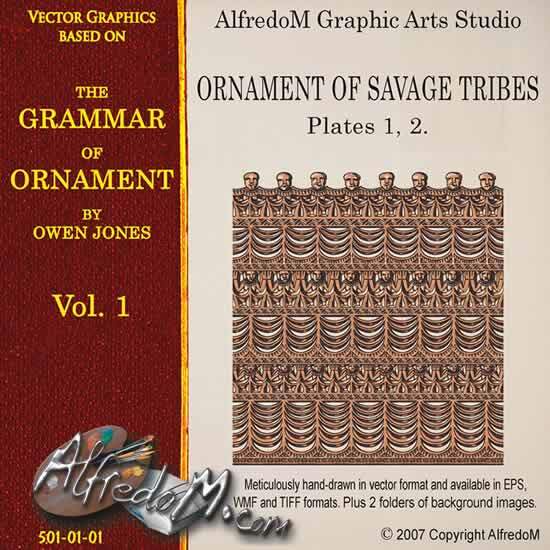 This first volume of vector graphics is based on the drawings from the first two plates of the Grammar of Ornament, it includes textile patterns from cloths and objects that, at the time, were mainly collected in the United Service Museum; some sample is from the British Museum. 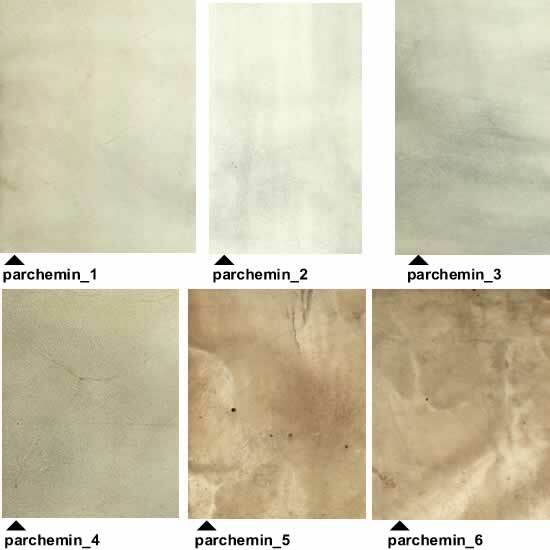 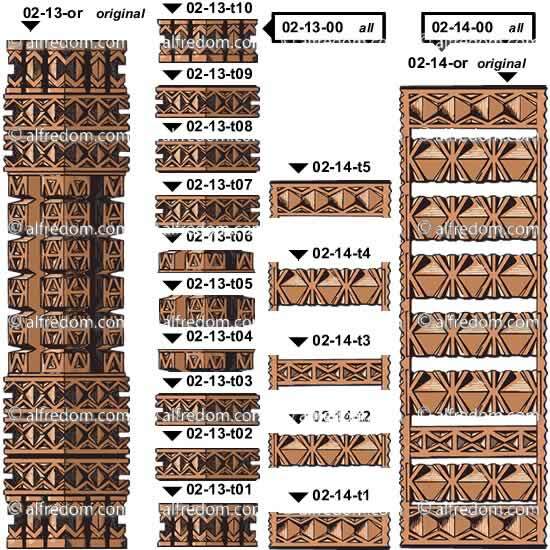 The images represent repeat patterns from Otaheite (today Tahiti), Tongotabu of the Friendly Islands (today Tongatabu, the islands also known as Tonga Islands), the Sandwich Islands (today Hawaiian Islands), Feejee Islands (Fiji), Hew Hebrides (today Vanuatu) and other places, mainly in the Pacific. 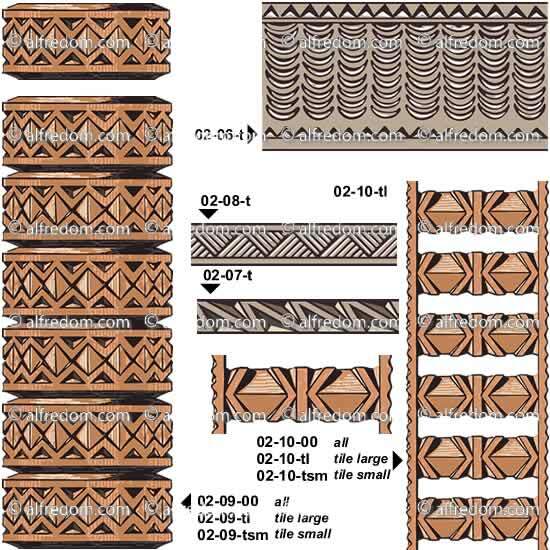 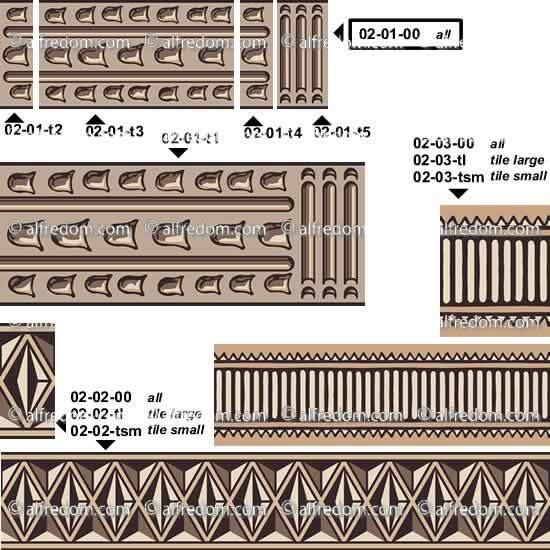 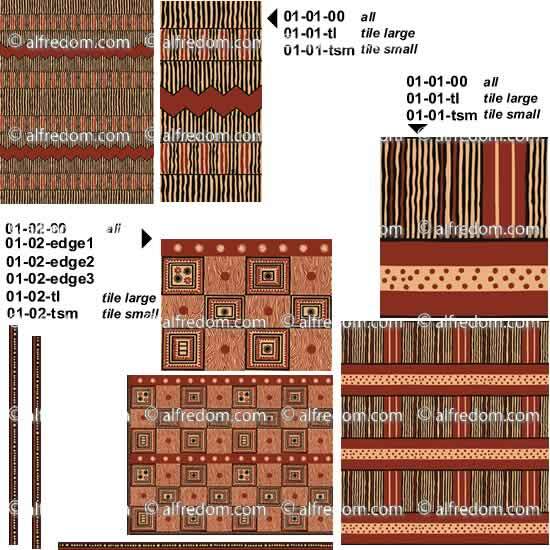 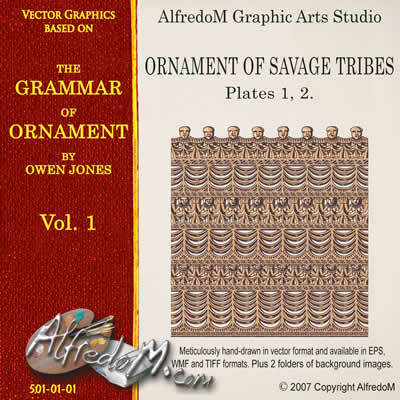 What Jones calls “Ornament of Savage Tribes” is actually a beautiful collection of unique decorative patterns. 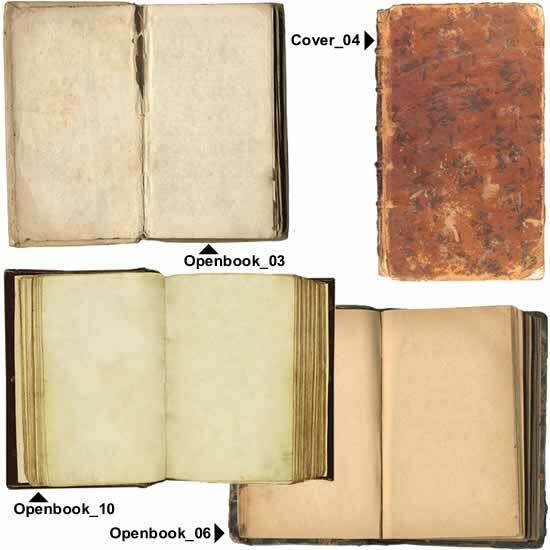 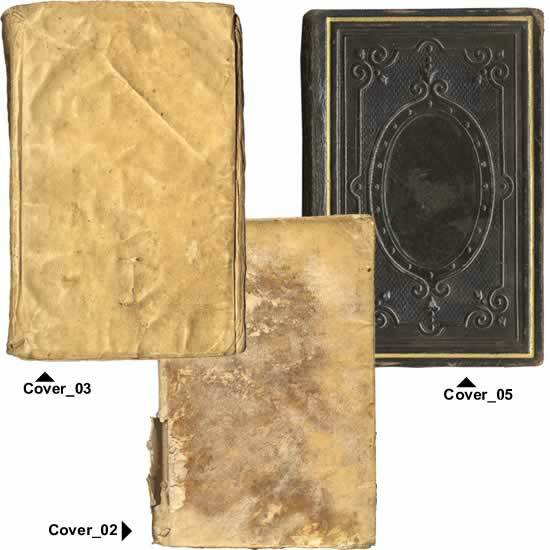 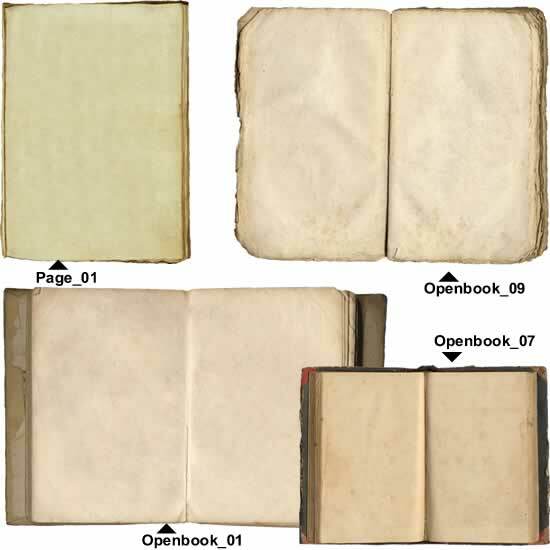 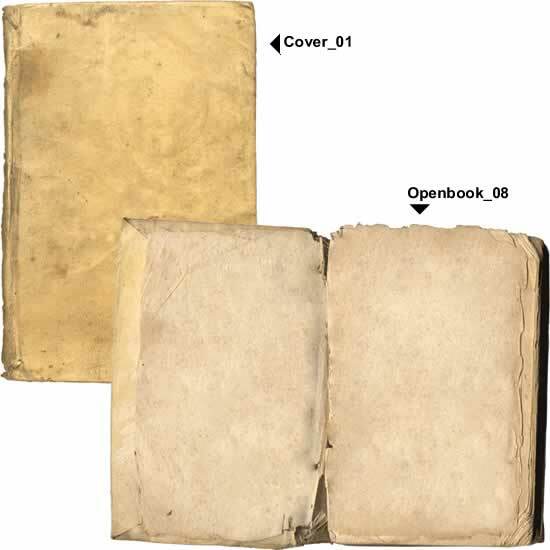 This specific Volume includes 137 graphic files in the EPS format.